The Rolling Stone Jazz Record Guide - 5 out of 5 stars! 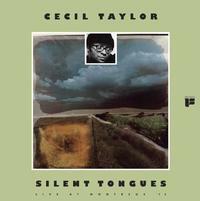 Cecil Taylor's solo piano set at the Montreux Jazz Festival in 1974 drew critical acclaim, earning five star reviews from the Rolling Stone Jazz Record Guide and AllMusic's Scott Yanow. The set features Taylor's five-movement work "Silent Tongues", along with two encores. After being out of print for nearly four decades, the classic live album has been remastered at Infrasonic Mastering and pressed on audiophile-grade vinyl at Pallas Group in Germany. Silent Tongues is a must-have for fans of Taylor and collectors of free jazz.